LEAWOOD, Kan. & STOCKHOLM, Sweden March 28, 2017 -- AMC Entertainment Holdings, Inc. (NYSE:AMC) (“AMC”), the world’s largest movie exhibitor, announced today it has completed its acquisition of Stockholm-based Nordic Cinema Group Holding AB (“Nordic”), the largest theatre operator in the Nordic and Baltic countries. AMC completed the purchase in all-cash transaction of SEK 5,756 million (USD $651.9 million), which includes payment of interest on the equity value and repayment of shareholder loans. In addition, AMC repaid indebtedness of Nordic of approximately SEK 1,274 million (USD $144.3 million) and indebtedness of approximately EUR €156 million (USD $168.2 million) as of March 28, 2017. All amounts have been converted into US Dollar amounts assuming an SEK/USD exchange rate of .11326 and a EUR/USD exchange rate of 1.0783, which were the exchange rates on March 23, 2017. With Nordic added to its portfolio of theatre assets in Europe and the U.S., AMC has hit the neverbefore-reached movie exhibitor milestones of 1,000 theatres and 11,000 screens across the globe. 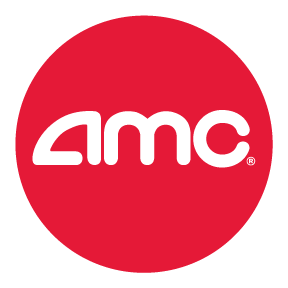 AMC now operates theatres in 15 countries, is the market leader in nine of those, and is the largest operator in each of the U.S., and Europe and worldwide. All Nordic activities are conducted locally in seven markets under several brands, including SF Bio in Sweden, SF Kino in Norway, Finnkino in Finland, and Forum Cinemas in Estonia, Latvia, and Lithuania. Nordic had approximately SEK 2,938 million ($349 million USD)1 of revenue in 2015, including box office revenues of SEK 1,928 million ($229 million USD)1 . Total revenues for the 12- month period ended September 30, 2016, were SEK 3,159 million ($375 million USD)2 and operating margins for that 12-month period exceeded those of AMC. With the transaction now complete, Odeon Cinemas Group has 361 theatres and 2,926 screens in its European portfolio, including theatres it directly operates and associate theatres. In addition to its Nordic subsidiaries, Odeon also operates 243 theatres with 2,262 screens in its four primary markets: Odeon theatres in the U.K./Ireland, UCI theatres in Italy and Portugal, UCI Kinowelt in 3 Germany/Austria, and Cinesa in Spain. Odeon Cinemas Group is the largest operator in the U.K./Ireland, Italy and Spain, the number two market share in Austria and Portugal and the number four market share in Germany. Mark Way, Managing Director Odeon Cinemas Group and President, AMC Europe, remarked “Uniting the Odeon and Nordic teams brings together some of the most experienced and respected cinema operators in Europe. Our businesses are built on very similar values of developing excellent cinemas, creating amazing experiences for our guests, and offering fantastic careers for our people. We’ll create a successful integrated business that delivers further growth through market leading experiences for our guests”. Jan Bernhardsson, Chief Operating Officer of Odeon Cinemas and Executive Vice President, AMC Europe added, "I am excited to be joining Odeon and AMC. The market leading positions of Odeon and Nordic are already impressive, and together we will be even stronger. The prospects ahead for AMC in Europe are ever so bright."